Providing the technology effort for London agency TMG, VidaVia worked on all aspects of the Harveys Furniture website including back-end admin facilities as well as front-end "power house" technology. Working with TMG was an exacting challenge - pixel perfect designs needed to be implemented but with no perceptible loss of performance. 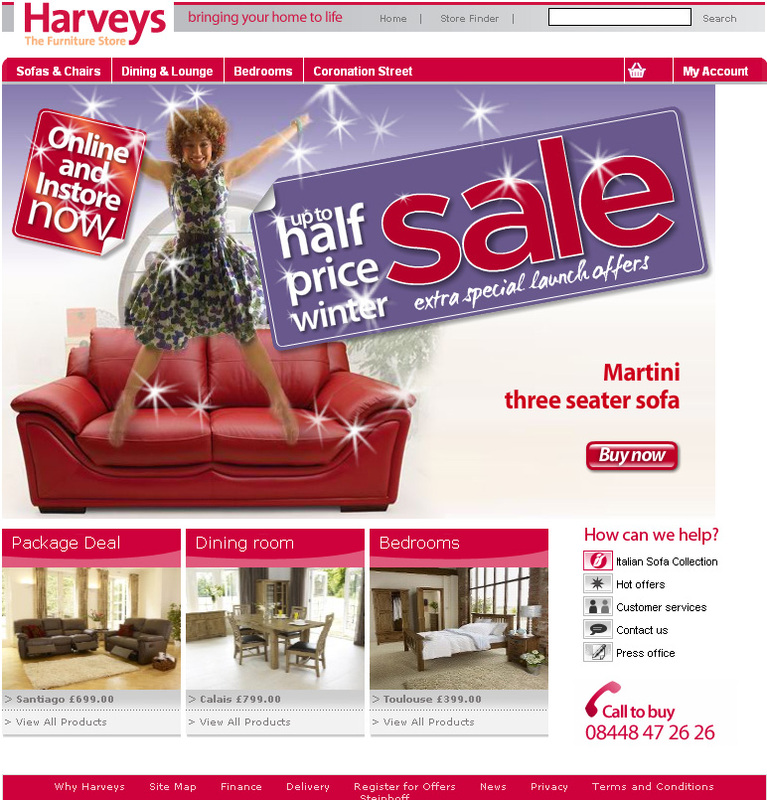 As sponsors of British TV's popular series, Coronation Street, Harveys Furniture would regularly experience a massive increase in web traffic during each commercial break. It was like an enormous pipeline had been switched on. So VidaVia also built a load-testing environment to determine the best scalable configuration for the site (using Oracle database and .Net code). Using the load-testing platform we were able to pinpoint the performance bottlenecks and get the site running smoothly.